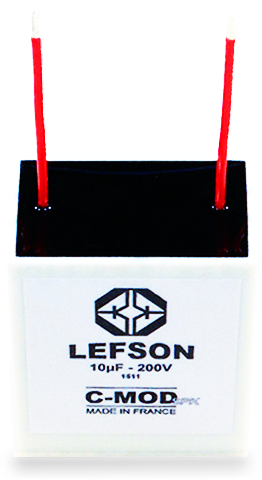 The LEFSON C-MOD SPK is a high performance audio coupling module for high current and high level signals. It’s named «coupling module» instead of «capacitor» because it was designed with care in the point of view of an audio coupling system. Extremely low loss operation is one of its best features, this is our «WIRE LIKE» technology. 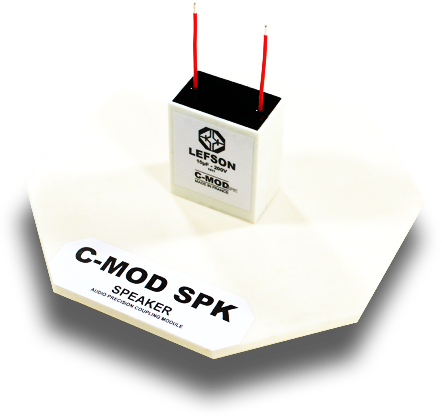 Specially designed to process high current and high level AC signals (power amplification, speaker), the LEFSON C-MOD SPK is the perfect solution when an audio capacitor is needed, in the crossover filter of a speaker. As all C-MOD products, it's fully handmade in our workshop in France. To perfectly match your configuration, the length of the wires and the capacitance value of the LEFSON C-MOD SPK are customizable, do not hesitate to contact us !